...back to my self imposed hiatus! But seriously, the type writer is cool! 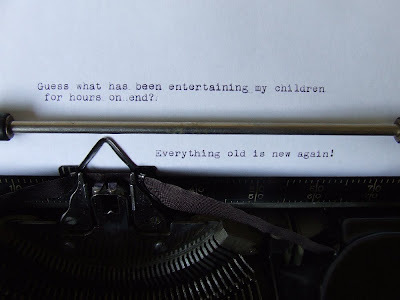 If only I still had a typewriter! My kids would probably love it! My Benjamin is fascinated by typewriters. He has a growing collection, one older than the next. What's the attraction?